Jacob Katuva used to get up at dawn to cycle 12 miles from his village to collect water with his uncles and cousins when he was growing up in Kenya. Now he is part of a research team at Oxford University using cloud computing and mobile sensors to monitor water wells and help ensure that thousands of villages in rural Africa and Asia have a safe, secure supply of water. Millions of people across the world fear not having enough water on a daily basis, living in a state of ‘water insecurity.’ The time spent finding and carrying water, if local wells are not reliable, steals precious time from farming, making a living or going to school. It can even force people to revert to unsanitary water sources shared with animals. Water issues are tied to a cycle of poverty. Dr Rob Hope is trying to break this cycle with the REACH programme, which is funded with UK aid from the UK government and has many partners, including UNICEF. Hope is an Associate Professor at Smith School of Enterprise and the Environment at the University of Oxford in the United Kingdom. The team includes machine learning experts Dr David Clifton, an Associate Professor; and graduate student Farah Colchester, both from Oxford’s Institute of Biomedical Engineering. ‘The REACH programme is aiming to make five million poor people water secure in Africa and Asia’, Hope explains. 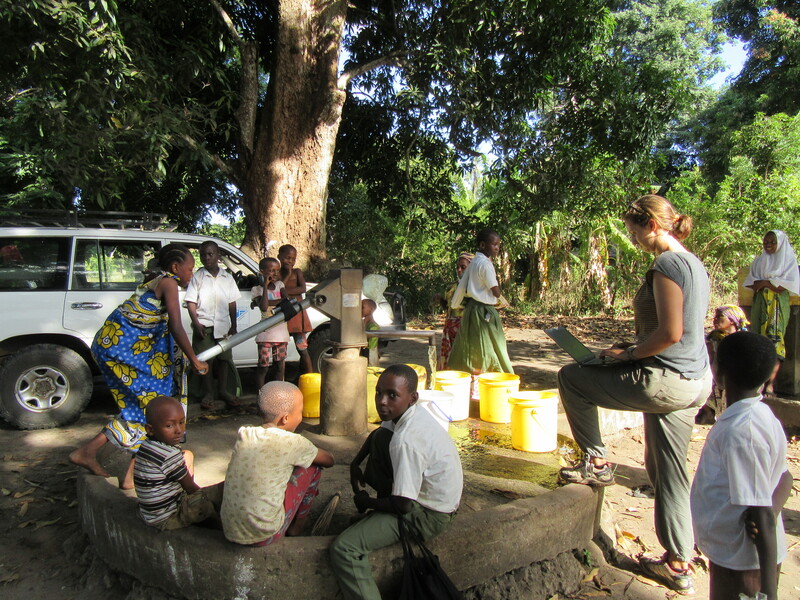 Katuva, a graduate student with Hope, helps compile socioeconomic data about the people who use the wells. The work so far has been focusing on developing accurate methods for water depth estimation, but is now getting ready for widespread deployment across Kenya. The team faces the new challenge of how to scale out their smart system in a reliable way. The team took advantage of an Azure for Research award that allowed them to scale their work out using the cloud. ‘Imagine you have multiple intelligent nodes. They’re all transmitting data. You have to integrate data in a cloud-based system from data nodes across an entire region, tens of thousands of pumps, in our case,’ Clifton said. The cloud-based system allows the use of machine-learning algorithms on that integrated data. Cortana Intelligence Suite is a key to this, enabling them to move straight from the lab and into practice using R and Python in Azure Machine Learning. The tools can be shared easily, making this ideal for collaboration with their partners. Understanding the groundwater depth is critical to mapping the ‘health’ of the whole water system, Clifton said. Decision makers need to know when water supplies are low, and how they fluctuate. Achieving water security requires investments, and those investments require information. Hope worries about the huge ‘information deficit.’ REACH can be the remedy to that. ‘Many hundreds of millions of dollars are invested each year in major projects, but little evidence is available in terms of whether they deliver impacts at scale, particularly for poor people,’ he said. This data can make a difference on that wide policy scale, but it can also help to speed repairs when hand pumps break—making life better for individual villages, one repair at a time. Repairs that once took a month might be done in a couple of days. Tools such as Power BI will help these decision makers better understand the complex data, empowering them to make the right policy-decisions. ‘My hope and aspiration is to see this system making my village and other villages back in Kenya water secure and moving them out of poverty,’ Katuva said. Hope believes the REACH partnership may widen and grow to create broader benefits for poor people around the world.